It is COMPLETELY Free which I loveeeeeeeeeeee. Also, it says you are able to access your creations online from anywhere! Email is required to join, however, verification is not required. 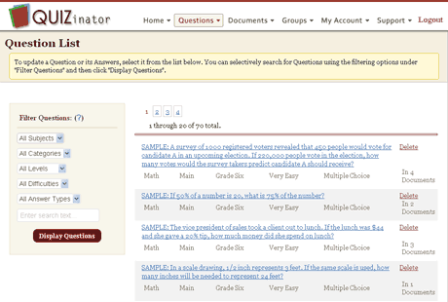 Add your documents, test questions, and worksheets and let Quiznator organize and update them for you. Anything that stores them and OFF my computer I love..